I´ve found a very interesting interview in the fan site U2 Achtung. I thought it would be nice to share with you. “The 360° Tour is still in everybody's mind and, while waiting for the next tour, we decided to know more about a famous object of this tour: the LED Microphone. We had the chance to interview the creators of this object: 1212-Studio Inc., through Adrienne Gurman and Tommy Voeten.” You can read the full interview here. Hope you like it. 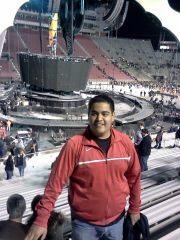 From the album: My First U2 experience! It was the best show ive been too and probably ever will go to! 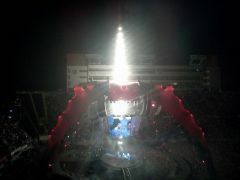 seeing U2 live was my dream and it happened! 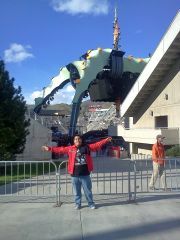 Realizing how HUGE the claw was in real life!